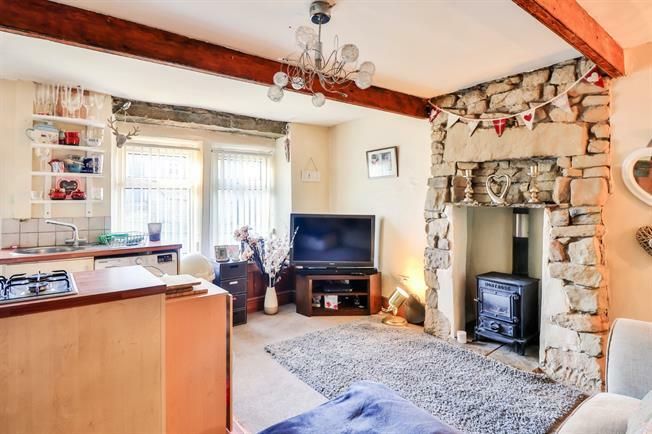 1 Bedroom Terraced Cottage For Sale in Colne for Offers in the region of £70,000. A superb deceptively spacious one bedroom cottage with staircase access to a fantastic converted attic room currently utilised as a second bedroom, with charm and character throughout an early viewing is certainly recommended, briefly comprising; good size lounge open to a well equipped kitchen, ample storage, cellar, bedroom with built in wardrobe, family bathroom and staircase access to a converted attic room. Double glazed window. Radiator and gas fire, beam ceiling, ceiling light. Wall and base units, inset sink, integrated, electric oven, gas hob, overhead extractor. Double glazed window. Radiator, a built-in wardrobe, beam ceiling, ceiling light.